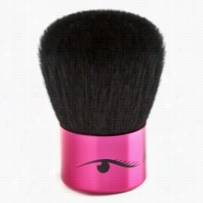 Amazing Cosmetics Amazing Kabuki Brush 1 ct. The Amazing Cosmetics Amazing Kabuki Brush is an oversized, luxurious, dome shaped brush that makes powder application a snap.This incredibly soft brush loads powders easily and distributes evenly. Perfect for applying loose or pressed powders, bronzers, blushers and setting powders. Comes wrapped in a velvet carrying case.Directions For Use:Simply glide the brush over pressed powder or gently dip brush into loose powder and stroke over face and onto neck area until optimum coverage is achieved. 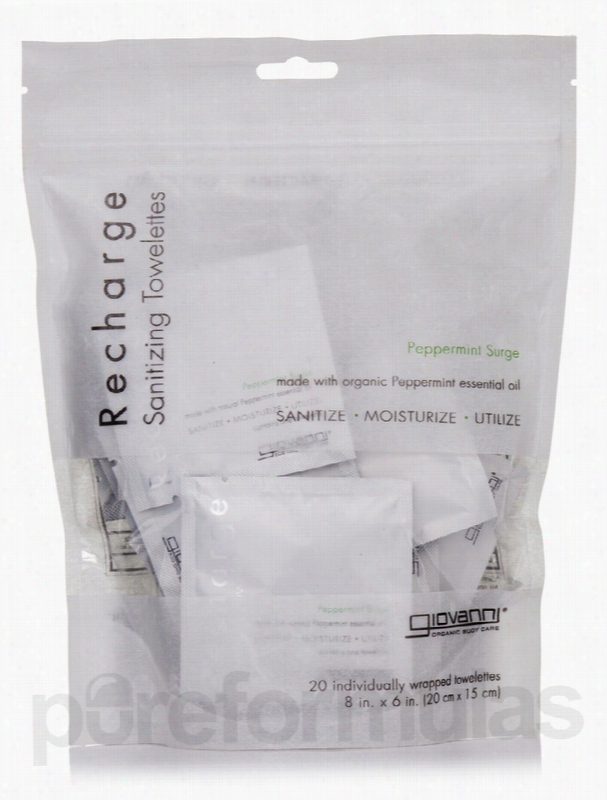 Giovanni Cosmetics Skin Care - Recharge Sanitizing Towelettes. Ever have one of those days? You're out and about or you're at the gym&sbquo; or wherever. And you just feel like you need to recharge your batteries. Giovanni towelettes are like pure energy. Clean up&sbquo; wipe up&sbquo; lift up your spirit with towelettes dressed in organic Peppermint essential oil. They're lightweight&sbquo; soft as a cloud and antibacterial. Perfect for sanitizing your hands&sbquo; these germ killing mini machines also:-Travel nicely. Use trains&sbquo; planes and automobiles.- Keep certain foods from staying with you long after you've left the kitchen (think garlic and fish).-Recharge tired muscles with peppermint essential oil by smoothing a towelette over skin (feel the icy cool mint? )-Essential peppermint oil invigorates tired feet and legs after a long walk or being on your feet all day.-Keep at the beach and you look and feel like a little red corvette? A gentle wipe helps cool skin.-Put in fridge and recharge by placing on the back of your neck.-Remove dirt and grime from little hands after an afternoon at the playground.-Freshen hands after fueling your vehicle.Peppermint oil awakens and recharges.Product Highlights: These statements have not been evaluated by the Food and Drug Administration (FDA). These Products are not meant to diagnoseÃ¢ÂÂ treat or cure any disease or medical condition. Please consult your doctor before starting any exercise or nutritional supplement program or before using these or any product during pregnancy or if you have a serious medical condition. Amazing Cosmetics Powder Set 0.3 oz. 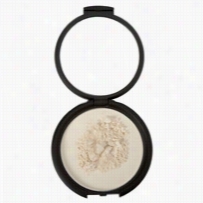 Amazing Cosmetics Powder Set is a soft, silky, colorless setting powder that locks in color. It sets your makeup application and keeps your look fresh throughout the day or night.Powder Set is also the perfect powder to take with you on the go to provide a quick, easy-to-apply, refresher after lunch or any time you feel like you need a little boost. 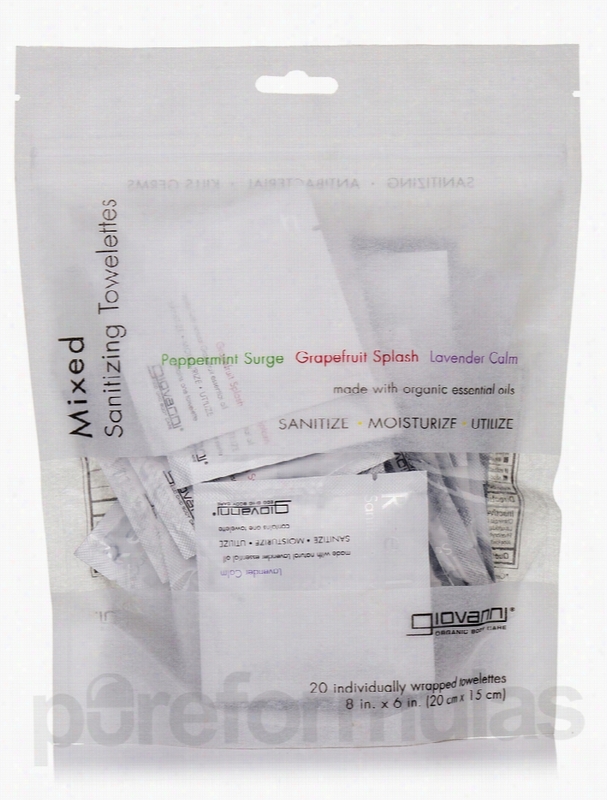 Giovanni Cosmetics Skin Care - Mixed Sanitizing Towelettes - 20. Ever have one of those days? You're out and about or you're in at the gym&sbquo; or wherever. Giovanni towelettes recharge&sbquo; relax&sbquo; refresh... whatever! Clean up&sbquo; wipe up&sbquo; lift up your spirit with towelettes dressed in organic essential oils. They're lightweight&sbquo;soft as a cloud and antibacterial. Perfect for sanitizing your hands&sbquo; these germ killing mini machines also:-Travel nicely. Use in trains&sbquo; planes and automobiles.-Put in fridge and place on the back of your neck... Recharge with a Peppermint Surge; Relax in a Lavender Calm; Refresh with a Grapefruit Splash.-Keep certain foods from staying with you long after you've left the kitchen (think garlic and fish).-Day at the beach and you look and feel like a little red corvette? A gentle wipe helps cool skin.-Remove dirt and grime from little hands after fueling your vehicle.Grapefruit oil energizes and refreshes. Lavender oil soothes and relaxes. Peppermint oil awakens and recharges.For hand sanitizing to decrease bacteria on skin. These statements have not been evaluated by the Food and Drug Administration (FDA). These Products are not meant to diagnoseÃ¢ÂÂ treat or cure any disease or medical condition. Please consult your doctor before starting any exercise or nutritional supplement program or before using these or any product during pregnancy or if you have a serious medical condition. 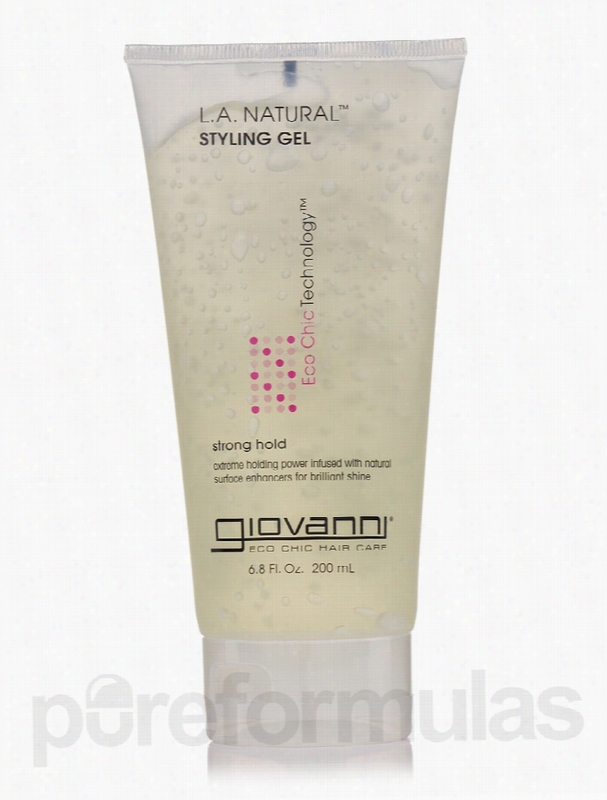 Giovanni Cosmetics Hair - L.A. Natural Styling Gel - 6.8 fl. oz ( 200. Style your tresses and keep them intact for hours with L.A. Natural&trade; Styling Gel 6.8 fl. oz from Giovanni Cosmetics&reg;. This organic product may also add shine to your hair and control frizz. Citrus Grandis or Grapefruit seed extract could potentially alleviate dry hair conditions and add volume to your mane. It may also keep your hair free from tangles. Aloe Vera leaf juice reportedly provides necessary vitamins and minerals to your hair to keep it nourished. It appears to keep tresses frizz-free and manageable. Studies reveal that sunflower seed oil and soybean seed extract maintain proper moisture balance in your hair and alleviate dry and damaged hair conditions. These extracts may also make your hair softer and shinier to make styling easy. Lavender and rosemary in this styling gel from Giovanni Cosmetics&reg; appear to add moisture and volume to your tresses and reduce hair damage. These herbs help detangle hair and support styling. The extracts from chamomilla&sbquo; thyme&sbquo; mallow&sbquo; salvia sclarea&sbquo; coltsfoot&sbquo; nettle&sbquo; and betula alba in L.A. Natural&trade; Styling Gel 6.8 fl. oz from Giovanni Cosmetics&reg; could potentially provide nourishment&sbquo; sheen&sbquo; and volume to your mane to secure any shape and style for hours. These statements have not been evaluated by the Food and Drug Administration (FDA). These products are not meant to diagnoseÃ¢ÂÂ treat or cure any disease or medical condition. Please consult your doctor before starting any exercise or nutritional supplement program or before using these or any product during pregnancy or if you have a serious medical condition. 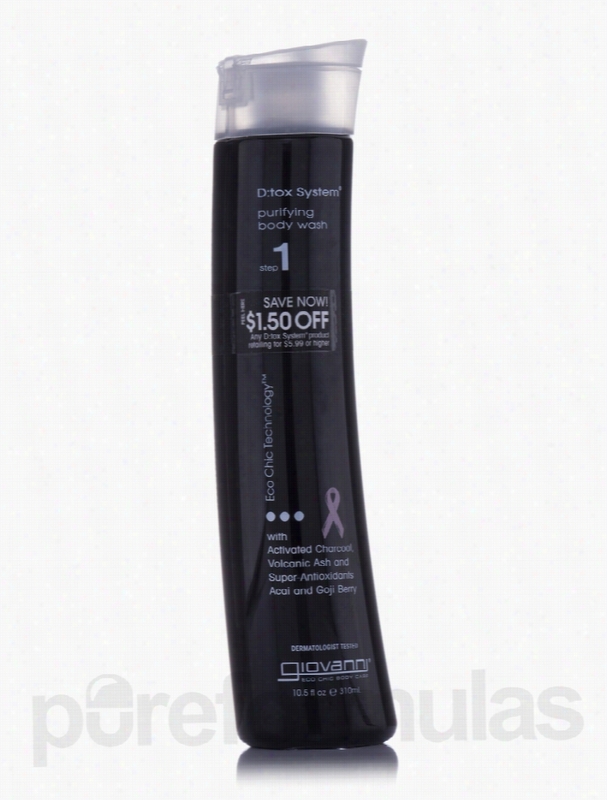 Giovanni Cosmetics Bath and Body - D:tox System Replenishing Body. Purity has been restored - now it's time to re-establish skin to its softest smoothest state. Replenish and hydrate by reintroducing skin to what's pure exotic acai and goji berry super-antioxidants hand-harvested and delivered directly to your skin&sbquo; intensely nourish&sbquo; rejuvenate&sbquo; and infuse skin with vitamins and minerals.Smooth all over - let skin drink in the natural scent of luscious fig and clean green Tea. It's moisture without clogging pores. It's softness without sacrifying purity. Only skin infused with something so natural could radiate like this. These statements have not been evaluated by the Food and Drug Administration (FDA). These products are not meant to diagnoseÃ¢ÂÂ treat or cure any disease or medical condition. Please consult your doctor before starting any exercise or nutritional supplement program or before using these or any product during pregnancy or if you have a serious medical condition. 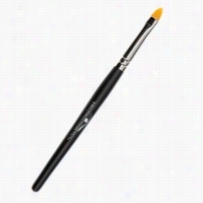 Amazing Cosmetics Concealer Brush 1 ct. The Amazing Cosmetics Concealer Brush helps keeps your application under control and prevents excess product usage.The small, oval shaped brush head helps you apply the tiny amount needed. Less is more when applying Amazing Concealer and this brush keeps your application down to a minimum. 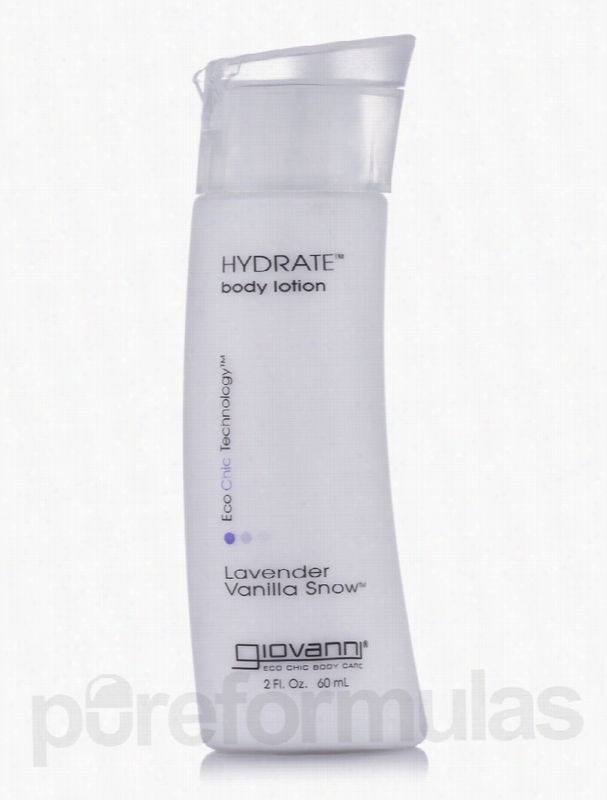 Giovanni Cosmetics Bath and Body - Hydrate Body Lotion Lavender Snow -. Hydrate body lotion has a rich lavender vanilla fragrance and contains uniquely soothing ingredients that smooth across skin to infuse needed moisture and hydration. The formula is rich in nutrients and also contains the exclusive Giovanni Eco Chic Technology blend. With an advanced Essential oil complex to soothe&sbquo; smooth and regenerate skin's lost moisture. These statements have not been evaluated by the Food and Drug Administration (FDA). These products are not meant to diagnoseÃ¢ÂÂ treat or cure any disease or medical condition. Please consult your doctor before starting any exercise or nutritional supplement program or before using these or any product during pregnancy or if you have a serious medical condition. Giovanni Cosmetics Bath and Body - Cleanse Body Wash Lavender Vanilla. Luxuriating body wash contains unique foaming agents that lather easily and gently cleanse. Gentle yet rich in nutrients Contains the exclusive Giovanni Eco Chic Technology blend. Advanced essential oil complex to soothe&sbquo; smooth and regenerate skin's lost moisture. Saturates skin with the exotic scent of Hazelnut Vanilla. Lauryl and laureth sulfate free. These statements have not been evaluated by the Food and Drug Administration (FDA). These Products are not meant to diagnoseÃ¢ÂÂ treat or cure any disease or medical condition. Please consult your doctor before starting any exercise or nutritional supplement program or before using these or any product during pregnancy or if you have a serious medical condition. Giovanni Cosmetics Bath and Body - D:tox Purifying Body Wash (Step 1). A clean spirit begins with purified skin. It's how you were born. It's how you should be. Dive deep beyond clean into a sea of purity with D:tox System&reg; purifying body wash.Out with the bad: a unique combination of activated charcoal and volcanic ash delves into pores&sbquo; absorbing the day's toxins&sbquo; impurities and excess oils that interfere with skin clarity.In with the good: hand-harvested acai and goji berry&sbquo; exotic super-antioxidants&sbquo; nourish and rejuvenate&sbquo; infusing skin with Vitamins and minerals&sbquo; re-establishing skin to its smoothest state. You'll be soft tot he touch&sbquo; gently fragranced by essential oils of luscious fig and clean green tea. Pure and natural. These statements have not been evaluated by the Food and Drug Administration (FDA). These products are not meant to diagnoseÃ¢ÂÂ treat or cure any disease or medical condition. Please consult your doctor before starting any exercise or nutritional supplement program or before using these or any product during pregnancy or if you have a serious medical condition.